Presenting scans from the 1986/87 Australian edition of the Matchbox Collectors’ Catalogue. This entry was posted in DIE CAST VEHICLES, MATCHBOX, TOY CATALOGUES and tagged 1980s, die cast cars, Lesney, Matchbox 1980s 1-75 range, Matchbox Action Sets, Matchbox Calendars, Matchbox cars, Matchbox Convoy Range, Matchbox Junior Collectors' Club, Matchbox Models of Yesteryear, Matchbox toys, Team Matchbox, toy cars, TOY CATALOGUES, toys, vintage toys on January 11, 2019 by The Vintage Toy Advertiser. … mad objects like coins, pasta, moon rocks, pencil shavings, Andorran flag bottle tops, and more! Maybe some of our Italian visitors can help out with the significance of these photographed objects placed next to drawings of cars? Or will they be as nonplussed as us? Non? What’s Italian for ‘no’? The catalogue in question is Italian, a Bburago HAT (Hobbies And Toys) 1976 N°2 edition. Perhaps catalogue N°1 had similar designs? The objects seem to be ‘hobby’ or ‘food’ related? Just how are these everyday items related to toy cars?? So many questions, I know, I know! Let’s move quickly to the scans which show some truly wonderful artwork of the models available by Bburago at the time. As was often typical with 1970s advertising, design teams didn’t photograph their product they hired artists to draw it! … A serious car, serious coinage! Please put the lid back on the toothpaste when you’ve finished brushing your teeth! Somebody call me a thimble! Excuse me, officer, I seem to have lost my marbles! Elastic bands make the world rebound and hold us all together! ?? What are these objects? Pebbles, old chewing gum, teeth, moon rocks??? Shall we chalk it up to experience? Strike a light! It’s matches! We get the point! Pencils! The artist has also made a point of drawing this BMW in a diminishing perspective style – its rear-end is making a point, as some rear-ends are prone to do! Exhaust issues? Go easy next time on that cauliflower cheese bake with extra beans! ?? WTH? I think these objects might be metal boot studs to protect your sole?? They were a brief craze in UK schools in the late 70s, before being banned for leaving score marks across the playground surface, and making loud, clopping sounds in the corridors on the way to morning assembly! A potato chip, crisp, King Edward, Maris Piper, Walkers, Doritos, Datsun 240 Z-couch-potato-munchdown-snackdown!! Phew! Please sit down. I’m about to tell you of the many beneficial uses of the humble paper clip! Swiss, white, soft, luxurious chocolate?? Board game / Bingo counters! ?? Is this the bottom part of an ice cream cone?? ?? An amber crystal?? A throat lozenge partially melted in the hot sun?? Bottle tops. The nearest one appears to be the Andorran flag? The pen is mightier than the police car? Back to school. Pencil shavings! At school, in your pencil case, you were likely to have a cheap, plastic sharpener, red, yellow or blue or something; if you were lucky, you’d have one of those sturdy, metal, technical drawing sharpeners; some had sharpeners that were moulded inside see-through containers into which the shavings could be collected and emptied later; others had novelty promotional sharpeners for cartoon, TV and film characters. Then there was the ‘beast-of-all-sharpeners’… the one that belonged to the entire class, usually bolted onto the end of the teacher’s desk – a sinister-looking device that could grind down three different-sized pencils at a time, automatic or crank handle-operated, when in motion it sounded like a derailed steam train driven over a cliff by Godzilla, and this monster of a pencil-sharpener, make no mistake, could easily rip off your fingers, and the entire lower arm of some of the smaller pupils! Decorative beads or tongue-tingling sweets?? No fear, we’re not taste-testing them, they’ve been out of their packaging since 1976! Decorative beads or tongue-tingling sweets?? … And finally… a back pages questionnaire, for kids, in Italy, in 1976. Thanks for identifying random objects with us :) If you know the identity of any of the mystery objects in today's post please let us know in the comments. Likewise, if you have any idea what is going on, about anything at all really, ever, we're here, and we'd like to know too! This post has been brought to you by TVTA random objects and old school schools of old school school stories. This entry was posted in BBURAGO, DIE CAST VEHICLES, WORDS and tagged 1970s advertising, Alice in Wonderland Die Cast Tales, Bburago, Bburago HAT, Bburago Hobbies And Toys catalogue 1976, design, die cast cars, Italy, nonsense, old school, random objects, School days, toy cars, TOY CATALOGUES, vintage toys, WORDS, writing on December 28, 2018 by The Vintage Toy Advertiser. Dinky Toys tinplate advert. 2013. Editions Atlas. *TVTA is taking a short break and will return soon with more retro goodness. 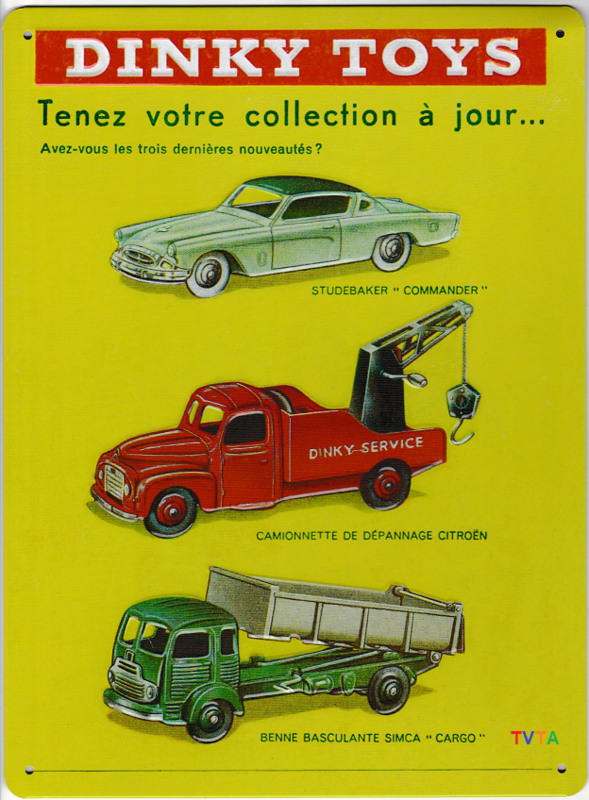 We leave you with the following scans which are from a reproduced and licensed 2nd edition 1963 Dinky catalogue, as made available in 2013 by Editions Atlas Collections, France. 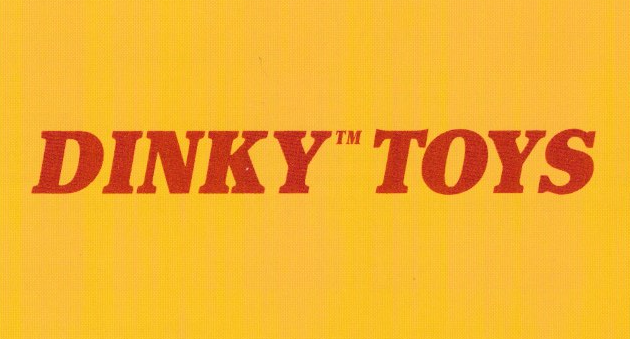 Images and Dinky logo copyright of Mattel and Editions Atlas. Scanned by TVTA for information and education purposes only. 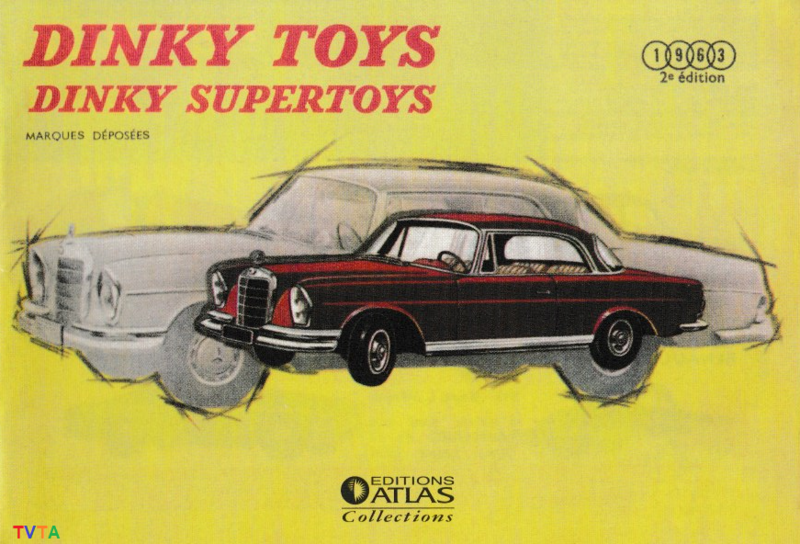 This entry was posted in DIE CAST VEHICLES, DINKY TOYS and tagged die cast cars, Dinky, Dinky Atlas Editions, Dinky cars, Dinky catalogue 1963, Dinky Supertoys, Dinky Toys, toy cars, toys, TVTA, vintage toy advertisements, vintage toy adverts, vintage toys on August 22, 2018 by The Vintage Toy Advertiser.